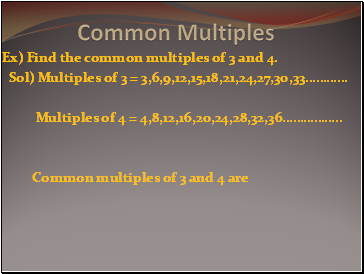 Ex) Find the common multiples of 3 and 4. 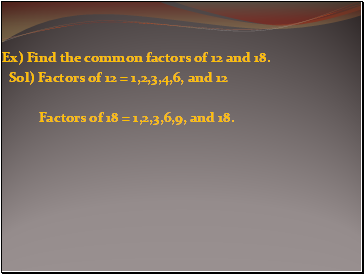 Ex) Find the common factors of 12 and 18. Factors of 18 = 1,2,3,6,9, and 18. 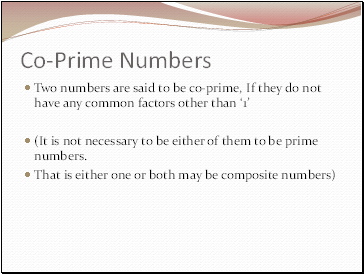 (It is not necessary to be either of them to be prime numbers. 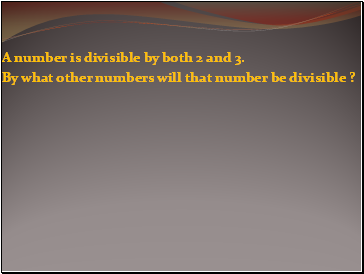 A number is divisible by both 2 and 3. By what other numbers will that number be divisible ? 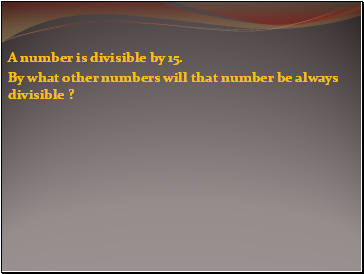 A number is divisible by 15. By what other numbers will that number be always divisible ?